Vietnam has been one of Asia’s favourite tourist destinations for so many years. It is not surprising because, well, Vietnam is a country filled with breathtaking natural beauty, unique heritage, and just so much to offer any tourist who decides to visit her…. With 3,000 kilometers of tropical coastline, exquisite food and fascinating culture, the list goes on, so here I have listed 10 reasons why you and I really should visit Vietnam. Yup, admittedly, I have yet to find my way to Vietnam but it is in my bucket list… my elder daughter who went there could not stop waxing lyrical over Vietnam…..
Vietnam is the perfect destination for budget travellers. It is definitely much cheaper here than travelling to other countries. 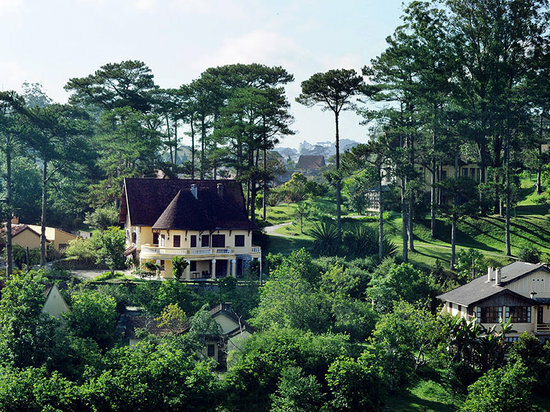 There are a plenty of hostels and guest-houses available in most cities. And even a 5 star hotel does not cost as much as Singapore or Europe..Food costs even lower and street foods are among the best in the world. Even in biggest metropolitan areas like Hanoi or Ho Chi Minh City, you survive a day with RM50. 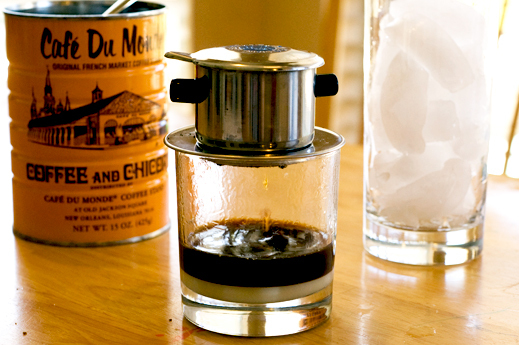 In Vietnam you can find coffee shops in every street corner. Just step into any coffee shop, order a cup of French drip black coffee or coffee with condense milk, simply sit down and enjoy watching people crossing the streets. For those who would like to take some coffee home, make sure you visit Café Mai (79 Le Van Huu, Hanoi) or Highland Coffee (26 Le Loi, Ho Chi Minh City). What is more relaxing than spending time on the powdery beach or in the turquoise water under the sun. 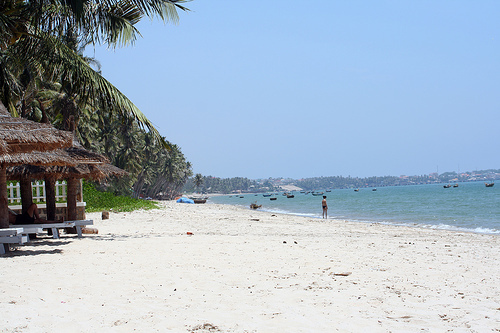 Sit back, relax and let the waves of Da Nang, Nha Trang or Mui Ne wash all your stress away for a bit. Vietnam has several of the world’s top beach listing. Yeah!!! You probably was not aware of that were you? Most of these beaches are safe to swim and there are opportunities for water-sport activities as well. In Nha Trang, for example, try kite-running and wind surfing. Da Nang Beach is usually known as a home for romantic resorts perfect for honeymooners and young families, while Mui Ne welcomes you with pristine landscape, tempting dinners full of fresh seafood dishes. 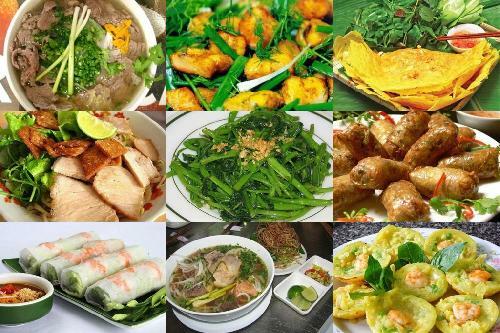 Vietnamese food is not just about pho and spring rolls, you can definitely find many other delicious Vietnamese dishes that will thrill your tastebuds with unique and diverse flavors, which usually vary by season and by region. In the seaside provinces such as Nha Trang, Da Nang or Vung Tau, you can easily find fresh seafood which is caught in the morning and served fresh with surprisingly affordable prices. Hanoi, (this is one of my bucket list).. is considered one of the most beautiful of the colonial Indochinese cities, Hanoi is a fascinating combination of old-world charm and modern developments brought on by its recent surge in tourism. The motorbike-filled streets of Hanoi have much to offer for visitors, from lovely parks and museums to streetside restaurants and of course, world-class coffee. Traces of the city’s French colonial past are still evident in the building architecture, language spoken by the older ‘Hanoians’, and even the French baguettes sold in bakeries. The bay is well-known for its scenic ocean karst topography and regarded one of the natural wonders of the world. There are various ways to experience Ha Long Bay, from Bai Chay tourist boats, budget and midrange cruises, or luxury cruises. The more adventurous at heart may also choose to kayak or take a seaplane for more panoramic views. Ho Chi Minh City (HCMC), the largest city in Vietnam, is often described as a vibrant, dynamic, highly energetic city that has everything a city traveller could hope for – from timeless temples to towering skyscrapers, classy restaurants to unassuming street stalls, the finest hotels to the cheapest guesthouses and well, it is of course the best place to shop until you drop…. Alternatively, call the airline’s 24/7 call centre at (+603) 2730 9887 or email vietjet@kul.reliancetravel.com. Note: Pictures have been taken from google.com, Vietjet and do not belong to me. Credit belongs to rightful owners. Using here just for illustration purposes. ← Rent an island in Maldives…. Thanks I just might have to visit one day!